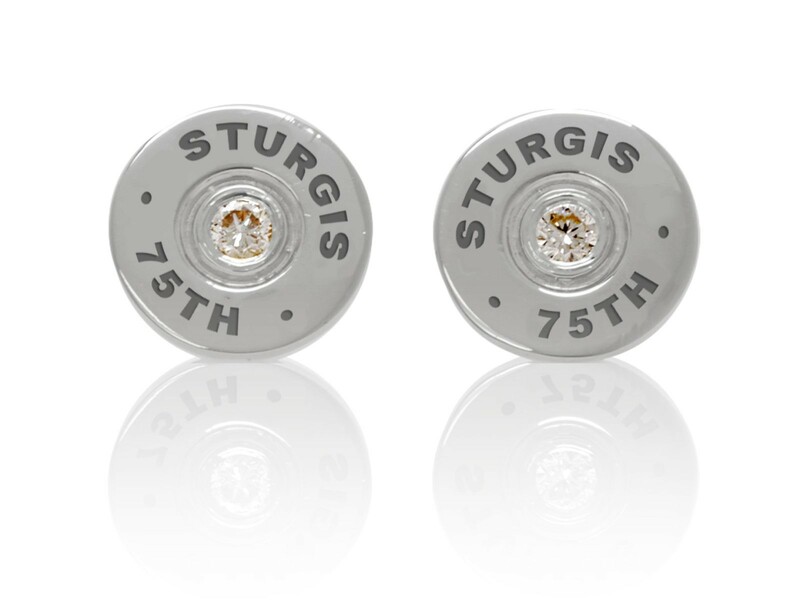 This Sturgis 75th Anniversary bullet earrings is crafted in 14kt white gold, hand set with an 11 ct. white diamond. 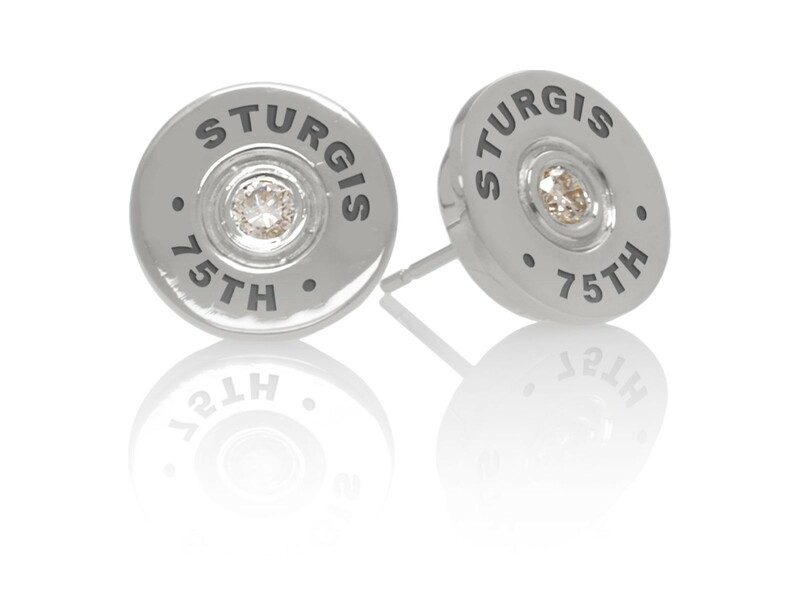 Bullet Earrings :: in .925 Sterling Silver – Customize your Own! 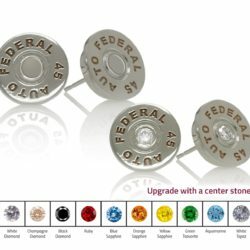 Bullet Earrings :: in 10kt. 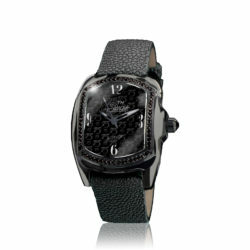 Yellow Gold – Customize your Own!